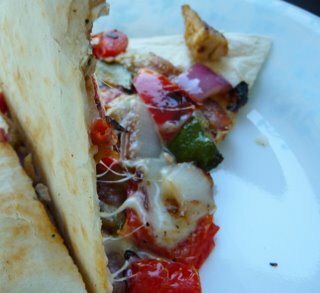 Who knew you can make quesadillas on the grill? I didn’t until I saw this recipe. 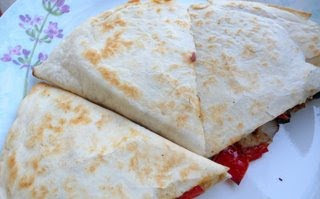 The great part is that you grill all of the ingredients – then you put your baking sheet on the grill and actually cook the quesadillas that way too! These were so flavorful – grilling really imparts a flavor you cannot not replicate any other way – I cannot wait to make them again. 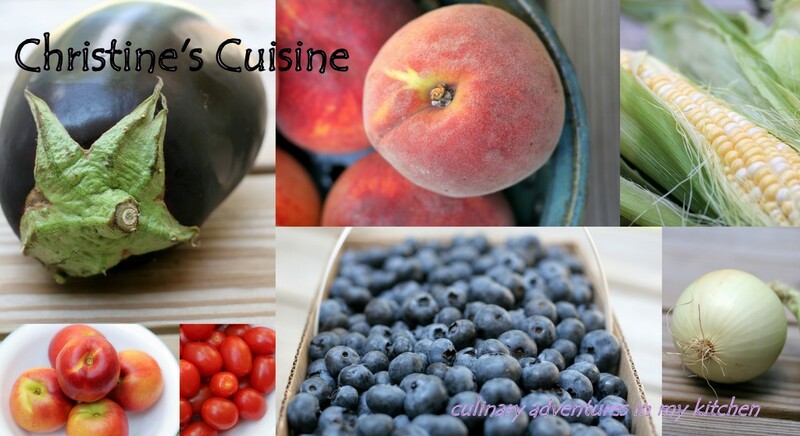 Serve them up with some salsa or guacamole – yummy! 1. Combine garlic and oil in a small bowl and microwave for 30 seconds, until bubbling. 2. Brush both sides of onion, pepper, zucchini and chicken with oil and season with salt and pepper. 3. Grill veggies over a hot fire until lightly charred and tender – 3-5 minutes per side. 4. Grill chicken until charred and registers 160 degrees F.
5. Slice chicken, zucchini, pepper and onion into thin strips. 6. Place 1/2 cup of cheese on half of each tortilla. Top with chicken and veggies. Fold tortillas over filling and press gently to seal. 7. Transfer to a baking sheet and place sheet on grill. Grill until tortillas are golden brown and crisp – about 4 minutes – then flip and repeat on the other side. Cut each tortilla into wedges and serve.